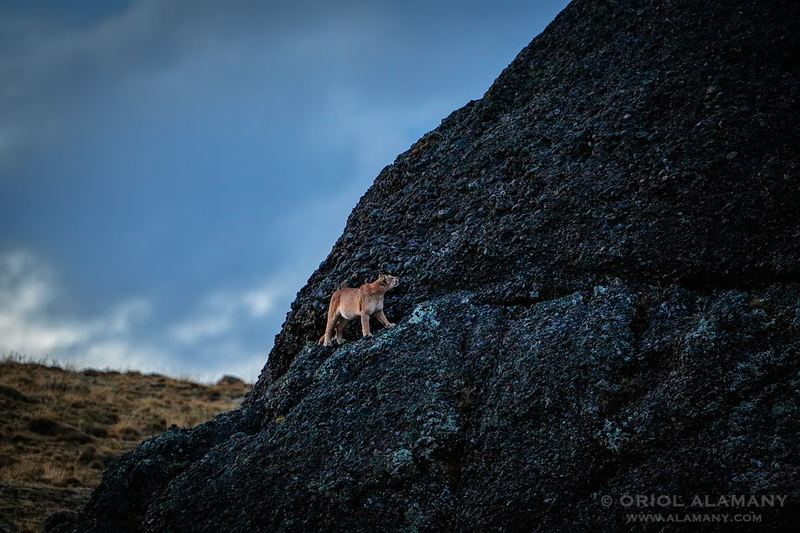 The light was almost gone when this female patagonian Puma left the grassland and climbed a rocky outcrop to rest for the night. It was amazing to see her walking calmly on a narrow ledge in the cliff. I love that the new digital cameras are able to shoot with such low light. My jaws just dropped when I saw this image. Simply brilliant Oriol! I love it! Me he quedado con la boca abierta nada más ver esta imagen. ¡Simplemente brillante Oriol... me encanta!